When we moved into our house many moons ago and had new blinds fitted in the bedroom, it really bugged me that in order to have privacy, the blinds needed to be down. Whilst that didn't bother me at night when it was dark and they'd be down anyway, I hated getting dressed in the dark in the mornings. I mean it's dark enough in the UK already, right? The solution? Frosted window film. Not only is it affordable and easy to install, but if you didn't know otherwise, you'd think it was actually acid-etched glass. Spurred on by the success and ease of the bedroom installation, this was swiftly followed by the addition of frosted window film in the fan light window above the front door, this time with our house number cut out, and also the bottom section of the bay windows in our living room. The brilliant thing about window film is that it still lets most of the light in, but you don't have every person that walks past, staring into your house. I'm a nosey person, so I know first hand that if someone can see into a house, they will look. I've never understood how people can sit in their living room relaxing, whilst anyone walking by can see right in. To me it would like trying to relax in a shop window! I played it pretty safe with my choice of window film, and it was ten years ago now, but these days you can get some really fab designs. Your choice of design will of course be guided by your reasons for wanting it: whether that's purely for privacy, decorative purposes to add some pattern to an otherwise plain room (or both! ), or to have a bit of a play with colour. And on that note, whilst the coloured film doesn't offer much privacy, they're so fun! 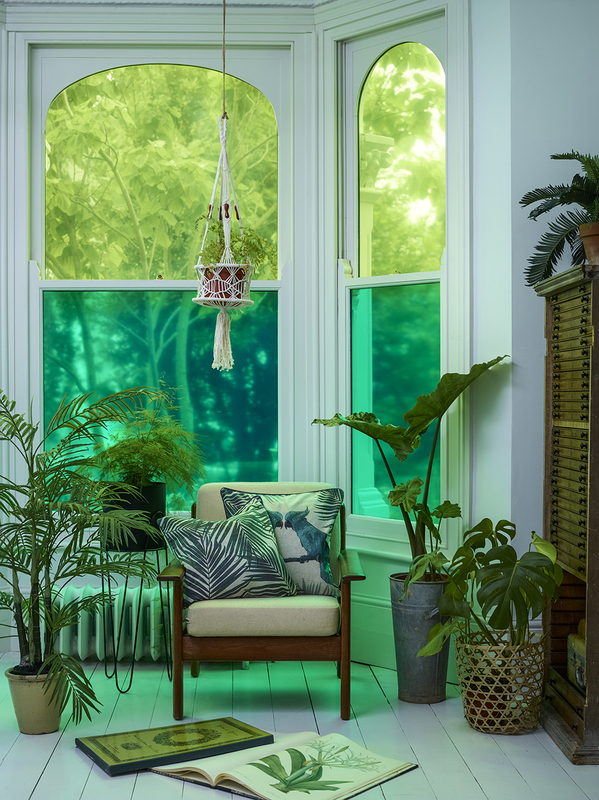 There's a great selection of colours available from The Window Film Company, from the blues and greens shown here, to purples, pinks, yellow and orange. I really love the idea of filtering out the grey skies with these. In fact, I think pink would work really well in my living room on the upper window panes. You know, rose-coloured glasses and all that. It's also particularly effective when used with two tones of the same colour, as demonstrated in the images below. 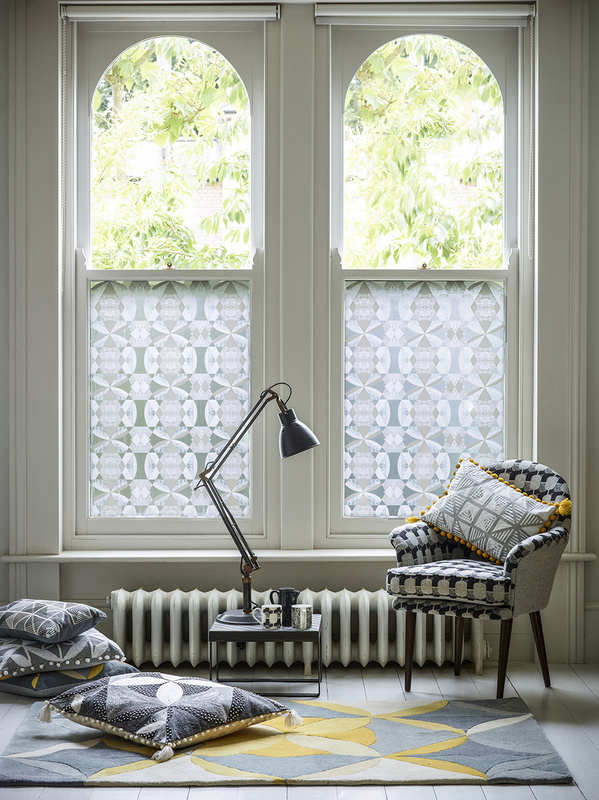 As far as the patterned films go, I'm really drawn to the geometric designs, like the White Printed 'Angulos', and Lindsey Lang's 'Geode' which is one of a collection of nine designs for The Window Film Company. 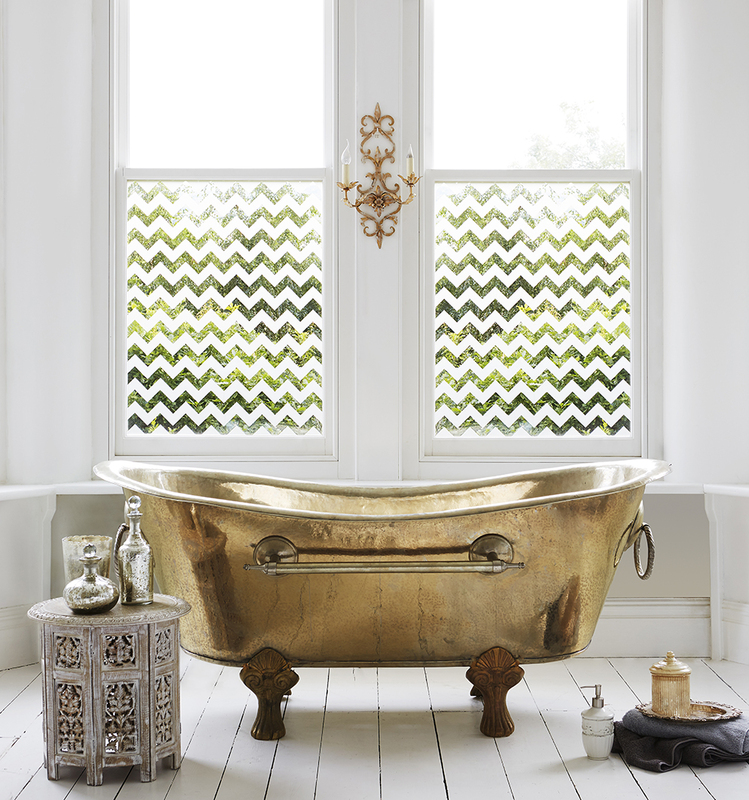 The chevron is fun too, and would be really great in a kids room if you're lacking a gorgeous bathroom with a brass roll top bath like I am! Privacy and decorative purposes aside, one thing I really wish I'd known about years ago is clear UV Window Film. The beautiful chair we have in our living room bay window has been drastically faded by the sun, and the simple addition of optically clear UV window film would have completely saved it, as it cuts out almost all ultra violet rays. This is definitely on the cards for when I have that chair reupholstered this year. All images The Window Film Company. 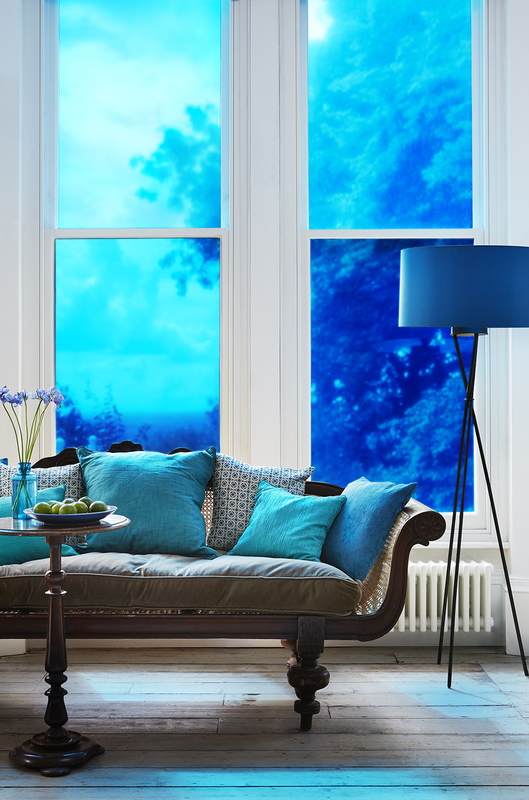 This post is in collaboration with The Window Film Company.